On the SHOWTIME original series "Years of Living Dangeriously"
Fact-checked and advised on the science by Climate Central’s Heidi Cullen (also see a Yale Forum Q&A with her) and prolific climate writer and analyst Joe Romm of Climate Progress/Center for American Progress, the series explores serious data and research as correspondents speak with scientists, activists, politicians, and average citizens presented as seeing changes all around them. Two recent historical precedents to “Years” may come to mind as climate change documentary sensations. The 2011 PBS three-part series “Earth: The Operators’ Manual” featured Penn State climatologist Richard Alley, a highly regarded scientist and charismatic science communicator. And there is of course former Vice President Al Gore’s “An Inconvenient Truth,” shown in movie theaters worldwide, and generally seen as being highly effective in introducing the climate issue to the broad public and in audience persuasion. Perhaps distinguishing itself from those two documentaries, “Years” is less a purely professorial work that focuses on “consensus science” findings and datapoints — though there seems plenty of that too in the series. The new documentary strives also to be more of a production building toward a sort of global “consensus experience” of climatic change, and it includes ample upbeat or “optimistic” messages along with the grim news of a rapidly warming atmosphere. “Years” follows human subjects over substantial periods of time, developing deeper character sketches, showing “heartbreak,” and putting a “human face” on the issue, as its creators say. Whether the series will be subject to the scene-by-scene science debates and media critiques that Gore’s “An Inconvenient Truth” ultimately was remains to be seen, but barbs from those steadfastly rejecting the scientific “consensus” are all but certain. By taking to the “field” to assess climate change, “Years” of course runs right into sticky attribution problems — establishing accurate connections between human-induced atmospheric changes and weather, drought, etc. Timothy Geithner Extended Interview: Former Secretary of Treasury Timothy Geithner discusses his book "Stress Test," and suggests that the bailout was necessary to avoid a depression, on the Daily Show with John Stewart, Comedy Central. 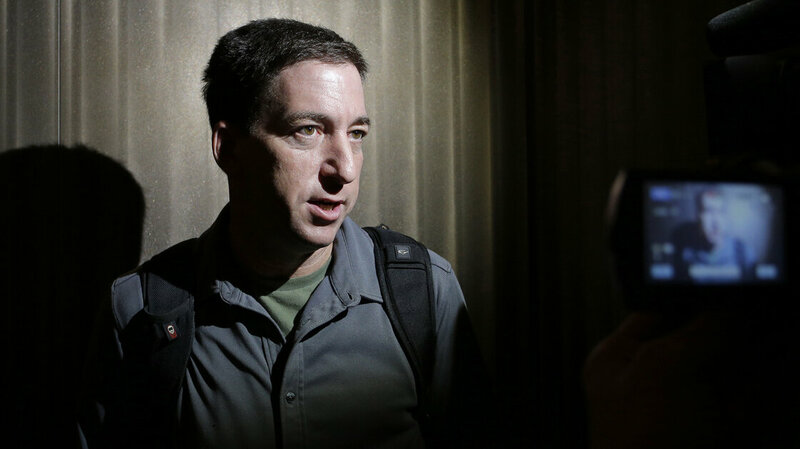 Reporter Glenn Greenwald speaks to reporters in Hong Kong on June 10, 2013, just days after publishing a series of reports about the NSA's mass surveillance programs. Mayday PAC Launch from lessig on Vimeo.